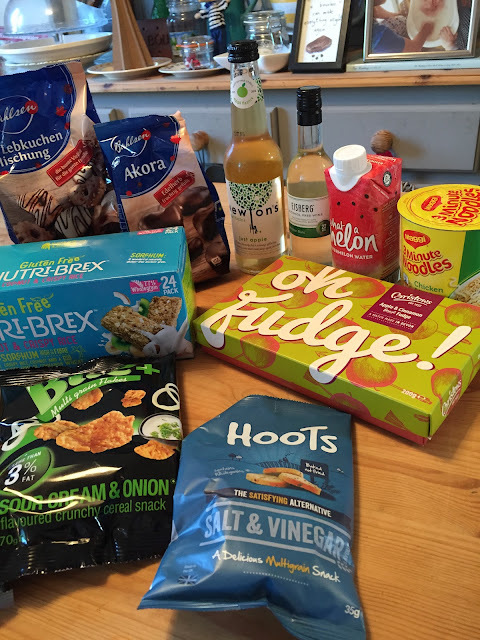 Mrs Bishop's Bakes and Banter: What was in our Winter Degustabox? 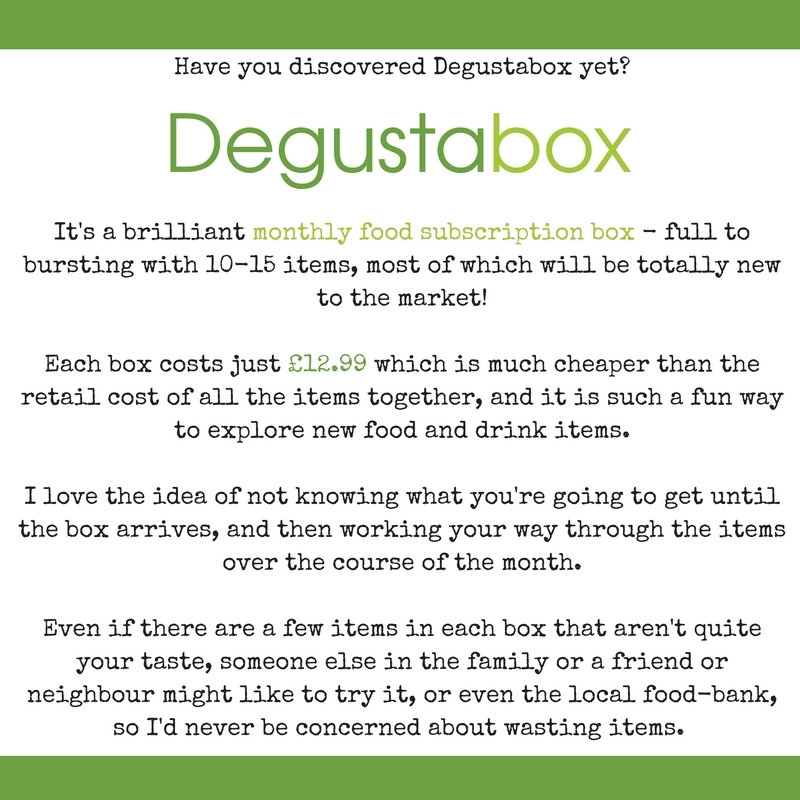 We received our winter box just before Christmas - it was exciting to open our foodie parcel knowing we had two blissful weeks off to enjoy tasting the contents. 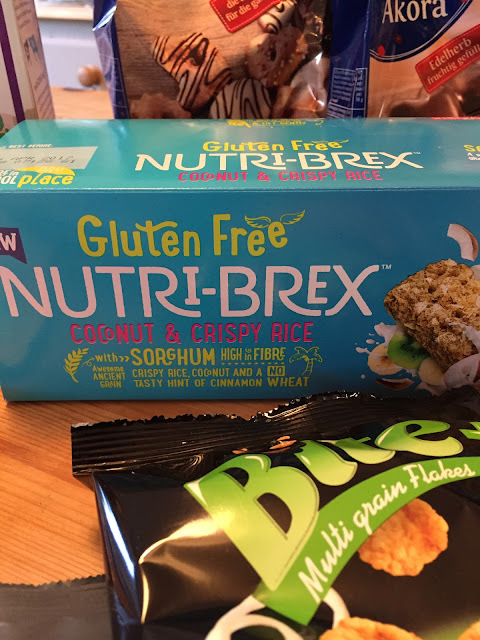 Nutri-Brex Gluten Free Coconut & Crispy Rice cereal bix. 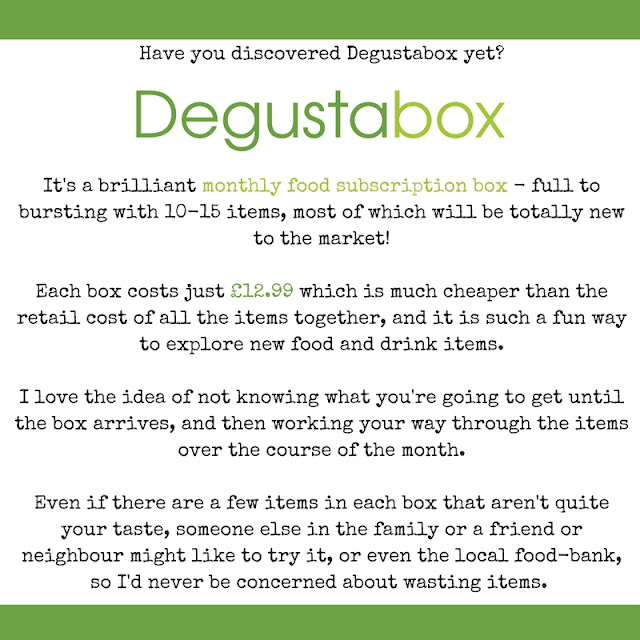 This month's box was a very mixed bag, as you can see! 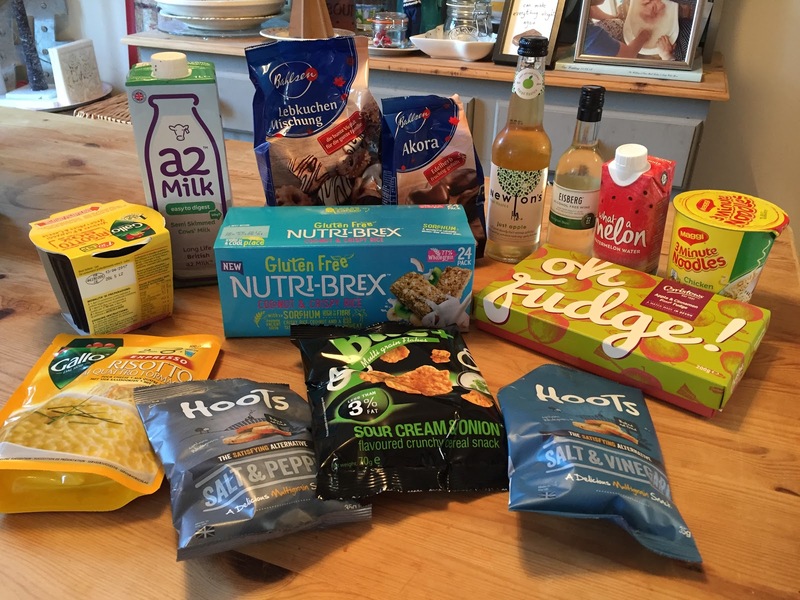 One of my favourite products this month was the Nutri-Brex cereal - it's really delicious, very low calorie, and Gluten Free - I'm still working my way through the box, but I'd definitely buy it if I saw it in the supermarket. 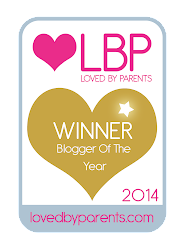 I loved Bristow's Oh Fudge! Apple and Cinnamon fudge box, it was the perfect treat to receive before Christmas. I popped them in a bowl over the Christmas period for our guests to help themselves to. Each fudge square was individually wrapped in silver foil wrappers, and they were really buttery and delicious. 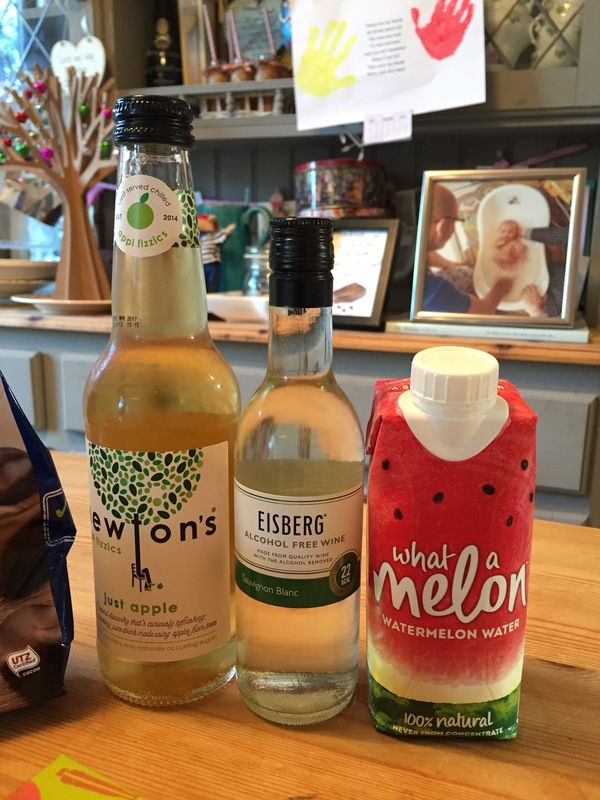 I was also really impressed with the Eisberg Alcohol Free Wine - I'm not a big drinker, I enjoy the odd glass of red wine here and there and the occasional G&T in the summer, but on the whole I prefer to stay sober. 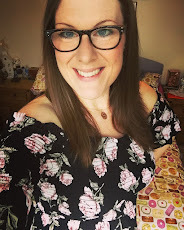 I've tried lots of alcohol free wines in the past and they all taste absolutely nothing like wine, and have an "odd" taste. When I tried this Eisberg version I was amazed how it actually tasted pretty close to a crisp white wine - it would be the ideal substitute to those off the alcohol, pregnant ladies etc. I think the a2 milk is a really handy item to receive - as it is longlife, the carton will keep in the cupboard, and it will mean I have emergency milk on hand if I run out. Perfect for this tea-drinking addict! Bert enjoyed the Lebkuchen cookies, and Liam loved the HOOTS snacks - so at least there was something that everyone loved in this months box. There was an item that I didn't like very much - the What A Melon (great name!) watermelon water really wasn't to my taste at all; I'm sure I could enjoy it as part of a refreshing summer cocktail, but by itself it just wasn't for me. Perhaps I'll try it with lemonade & gin next time, hehe! I've popped the Maggi noodles and Gallo risotto pack in my "emergency meals" box - which is full of instant stuff for those nights when I can't cook for whatever reason, or for when I'm out and Liam wants something super easy for his dinner. These sorts of things are always handy to have on standby, not the sort of food we'd eat everyday, but useful nonetheless.